William Jamaal Miller is the Director of Corporate Reputation and Thought Leadership for Blue Shield of California, leading a team focused on enhancing our company reputation and positioning Blue Shield as a leader in transforming the health care system. 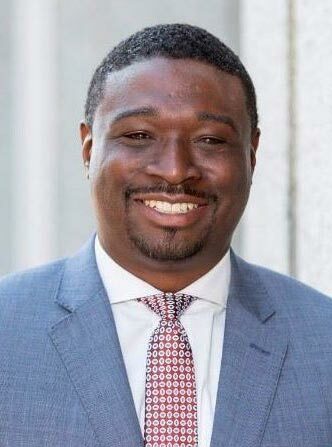 Jamaal has extensive experience in health care and as a people leader, most recently serving as the Deputy Director of the Office of Health Equity for the California Department of Public Health. Earlier in his career, he spent time at Kaiser Permanente as a communications manager, national community benefit, health policy and research and as a community and government relations manager. He also spent time as a regional manager of strategic marketing, communications, business development and employer relations at Sutter Health. Jamaal has been recognized with several industry honors, including being named a “Top 40 under 40” awardee by the Sacramento Business Journal, “Top 100 under 50” awardee by Diversity MBA, and a Modern Healthcare Up & Comers awardee. He was recently appointed to the American Diabetes Association’s National Health Disparities Committee and is an active contributor to Landmark Ventures’ Social Innovation Summit. Jamaal earned a Bachelor of Arts degree from Columbia University and a Master of Health Administration from the University of Southern California. He was also conferred an Honorary Doctorate of Humane Letters by Western University of Health Sciences in 2016. Jamaal’s primary office is based in Sacramento, but also has an office in San Francisco. Jamaal is the proud father of two young daughters: Skye and Leah. Jamaal is the youngest of four boys and his parents have been married for 48 years. His favorite musician is Bill Withers, he loves the artwork of Ernie Barnes, and he has been on two health research trips to Cuba.